From the Royal Festival Hall in London, the BBC Concert Orchestra performs music from stage and screen with the theme of death and mortality. Presented by Simon Callow. Performer: Simon Callow. Performer: Anna-Jane Casey. Performer: Adrian Der Gregorian. Conductor: Keith Lockhart. Orchestra: BBC Concert Orchestra. Singer: Anna-Jane Casey. Singer: Adrian Der Gregorian. Orchestra: BBC Concert Orchestra. Conductor: Keith Lockhart. Singer: Adrian Der Gregorian. 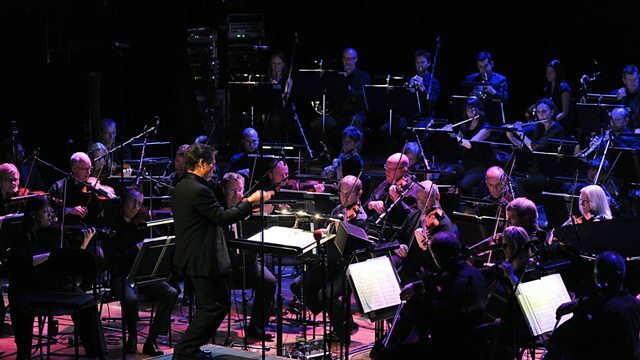 Orchestra: BBC Concert Orchestra. Conductor: Keith Lockhart. Singer: Anna-Jane Casey. Orchestra: BBC Concert Orchestra. Conductor: Keith Lockhart.